Results Analysis is functionality in SAP Controlling to valuate ongoing, unfinished activities, such as production orders, internal orders or projects at month-end. The underlying assumption for each of these activities is that they will add value when they are finished – a production order will yield a finished product, while a customer project will eventually be billed to the customer. Now if you look at the mere profit and loss of such an activity before the added value has been achieved (that is, before the goods receipt has been posted for the production order or before the customer project has been billed), you will only see costs and therefore, a loss. If you happen to look at month-end, it would seem that the activity has an unfavorable effect on your company’s results. With SAP Results Analysis, you can provide a more realistic view of your ongoing activities by capitalizing the value added so far in the balance sheet. Simply, you reverse the costs posted to your activities during the month and convert them into stock. If we maintain the assumption that the activity will lead to added value, then we can show this value in the inventory of your balance sheet as equivalent to the costs incurred. Results Analysis comes with a number of different methods to determine the value of the inventory to be capitalized at month-end. The simplest of these is the Work in Process (WIP) calculation, which is primarily used for production orders. In this scenario, you consider the capitalized inventory to be equal to the total cost of a production order minus any credits from goods receipt of finished products. For a customer project, the work in process is the difference between the total cost and the (partial) billings. In this scenario, there are a variety of options available to valuate the work in process. For example, you can consider the ratio between the planned and actual costs, compared to the planned and actual revenue for a more realistic result. You could also ignore all billings and show all costs as work in process until the project is finished. An important variation of Results Analysis is the Percentage of Completion (POC) method. This method is primarily used in large customer projects and is used to capitalize revenue instead of costs. With the POC method, you assume that the costs incurred to a project will eventually lead to an amount of revenue equal to the costs, plus your planned margin. For example, if you have realized 25% of your planned costs, you will capitalize 25% of your planned revenue in the balance sheet and P&L. Results Analysis thus provides a flexible toolset to determine a realistic picture of your ongoing activities at month-end closing. It can be used for production orders, internal orders, service / maintenance orders, and projects. 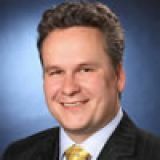 Martin Munzel is an internationally recognized speaker, author, and SAP consultant specializing in SAP Controlling functionality. He has more than 18 years of experience working with SAP, both as an external and in-house consultant. Martin has extensive experience implementing SAP FI/CO solutions in Europe, Asia, and North America in the manufacturing and wholesale industries as well as in the public sector. He regularly speaks at international SAP conferences and delivers training for consultants and SAP users. Martin is the Co-founder and Managing Director of Espresso Tutorials, a publishing company focused on short and concise SAP textbooks. He is the author of New SAP Controlling Planning Interface, First Steps in SAP, as well as a number of best-selling German titles. Contact Martin at martin.munzel@espresso-tutorials.com or on LinkedIn. Monday, 01 July 2013 Most Common SAP Controlling Pitfall: Beyond Cost Center Accounting – there’s more to SAP CO than meets the eye!